You can already get checked and treated for strep throat at many drugstores. You can now get your teeth cleaned and straightened at some. CVS Health is running a pilot with SmileDirectClub to fit people for the start-up's invisible braces in CVS' drugstores. Walgreens opened an Aspen Dental office in one of its Florida stores, with plans to open another this year. While these are small experiments for chains with about 10,000 stores each, they show how the drugstores are searching for new ways to draw customers inside. People are shopping more online. 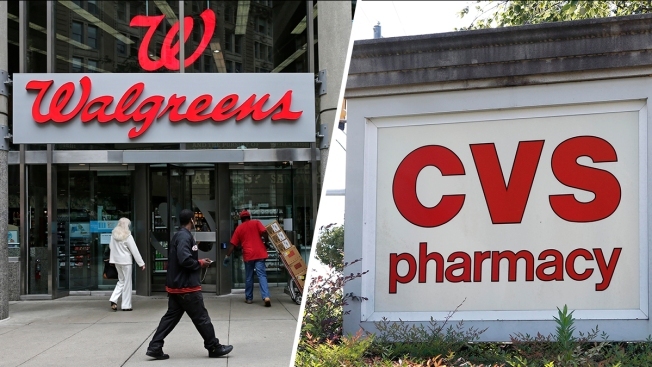 That's a problem for drugstores, so Walgreens and CVS are getting creative. Walgreens has already added FedEx and Sprint kiosks in some stores. It's also working with Birchbox to spruce up its beauty aisles. CVS, meanwhile, in November closed a roughly $70 billion acquisition of health insurer Aetna and now plans to turn its pharmacies into health hubs. "It all boils down to trying to diversify what they're offering in the front of the store," said Jefferies health-care services analyst Brian Tanquilut. In working with SmileDirectClub, a start-up that sells teeth straightening kits directly to consumers over the internet, CVS has added a so-called SmileShopExpress inside six of its drugstores. There, people can get a 3D scan that will be used to create their invisible braces. This is a pilot program for now, according to the two companies. "CVS Pharmacy is committed to making health easier and more convenient for our customers," a spokeswoman said in a statement. "As part of this commitment, we continuously test new programs and partnerships to enhance the customer experience." The teeth-straightening market has become extremely competitive since 40 of market leader Invisalign's patents expired in October 2017. SmileDirectClub and a slew of other start-ups, such as Candid Co., are jockeying to overtake the teeth-straightening market, appealing to consumers with flashy marketing and less expensive treatments. SmileDirectClub was already selling its kits inside retailers, including CVS and Macy's, but the pilot program could increase its exposure. Candid Co. already has nine of its own stores in cities including New York, Los Angeles and Boston. Even though customers can complete everything they need via Candid's website in order to receive a set of aligners, some people still prefer to see a specialist in person, CEO Nick Greenfield has said. There's value in companies such as Candid and SmileDirectClub having a bricks-and-mortar presence, to reach shoppers who might not be convinced to buy otherwise. Walgreens has also started offering more health services in its stores to keep people coming in even though they're shopping online more. It has already partnered with other companies and added lab testing, urgent care, primary care, and vision and hearing care into some of its locations. Last month, Walgreens opened its first Aspen Dental location in its Palatka, Florida, store. The companies plan to open a second location during the second quarter. Adding a dentist office, which offers everything from cleanings to Invisalign to crowns, "ties in nicely" with Walgreens' strategy, said Walgreens Chief Medical Officer Pat Carroll. It makes dental care more accessible and transparent, he said, since Walgreens has convenient locations and Aspen posts the prices online. It's also a way to tap Walgreens' existing customers: seniors. Traditional Medicare does not cover most dental procedures, leaving seniors on the hook to pay out of pocket. Aspen posts its prices. More private Medicare plans, known as Medicare Advantage, are starting to offer dental coverage. So with more seniors getting insurance, Walgreens figures it can make it easy for them to find a dentist since they're already coming into Walgreens' stores to pick up their prescriptions. "The demographic is really looking for dental services, as their dentist may retire, they're looking for more access," Carroll said. "We're also looking at a demographic that's really using Walgreens and the services they need at our stores."